the chaos: Another one for Sunshine Digi Scraps! Okay, I admit it...I had three kids so I could scrap them. 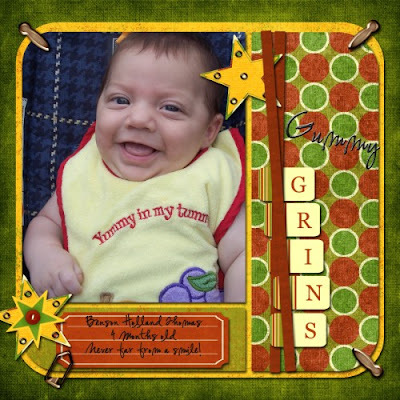 This layout I made using Sunshine Digi Scraps Suprise Party Kit. I just love the colors and textures. Gummy grins is too cute!